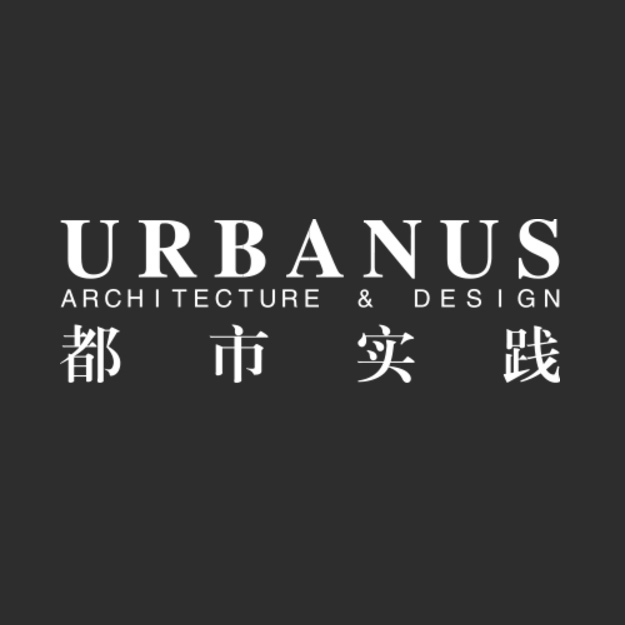 Project Location: Taining Rd., Luohu District, Shenzhen. 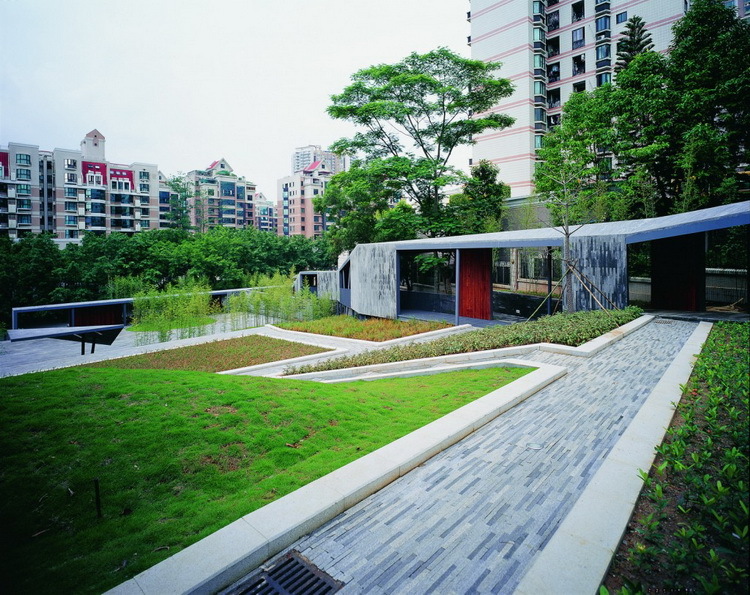 Collaborator: NHY Architectural Engineering Design Company, Ltd.
Before large-scale urban construction began, Shenzhen was formerly hilly country. 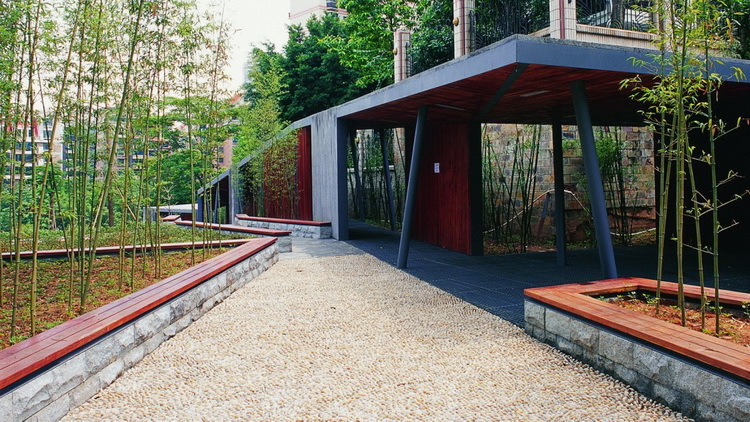 The Jade Bamboo Garden, which has insufficient connections with the surrounding streets, is one of the few areas partly conforming to the original landform and vegetation in the urban center. 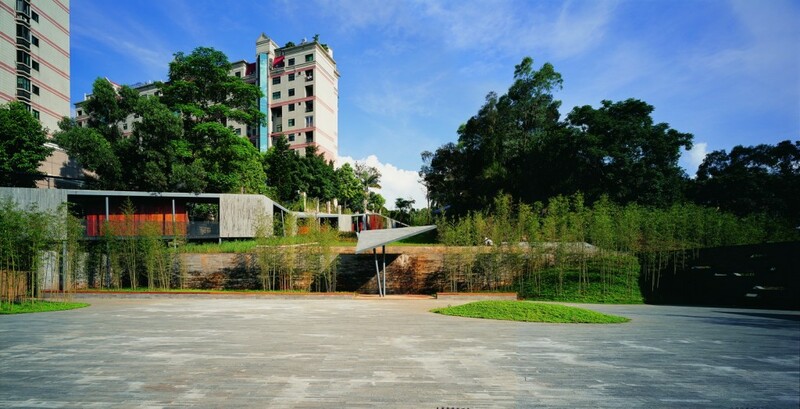 The north entrance of the garden is required to connect the roads towards the high-class residential development area. 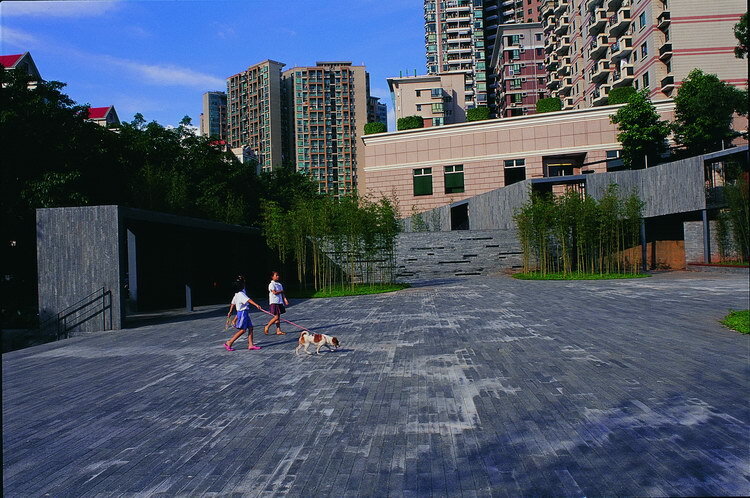 The site has an irregular shape, and the altitude difference of the slope from north to south is almost 13 meters. 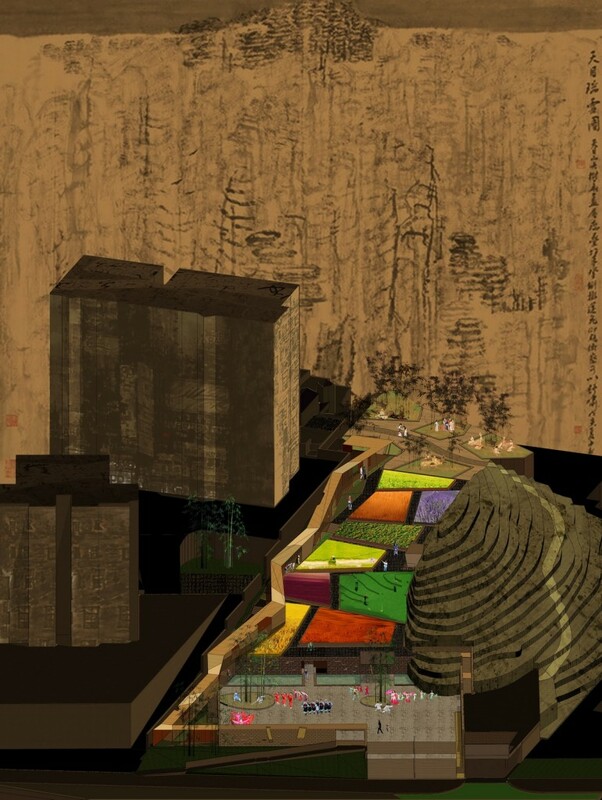 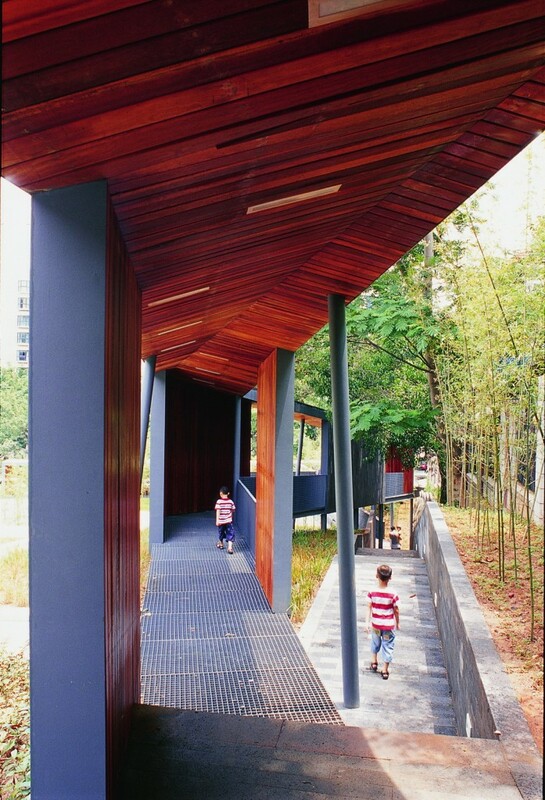 The design keeps the former hilly landform of the site, using the traditional form of the Chinese courtyards to create bamboo islands throughout. 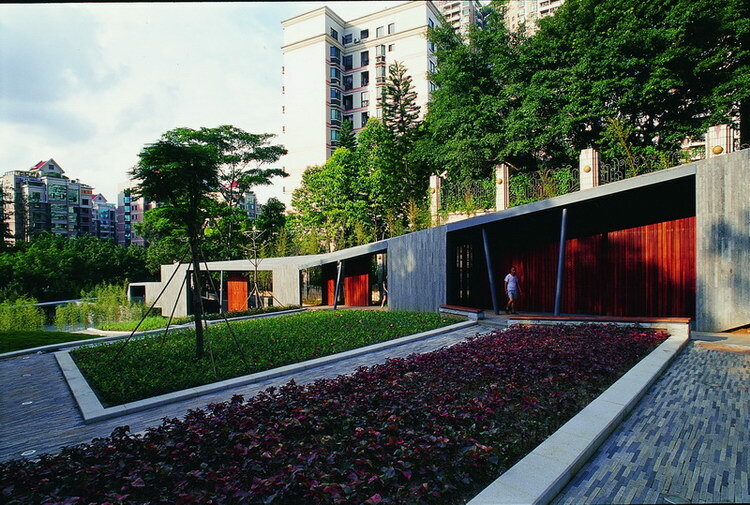 Such space allows not only for children to play hide-and-seek and other games, but also provides community services for the elderly such as chess club, Tai Chi practices and music performance . 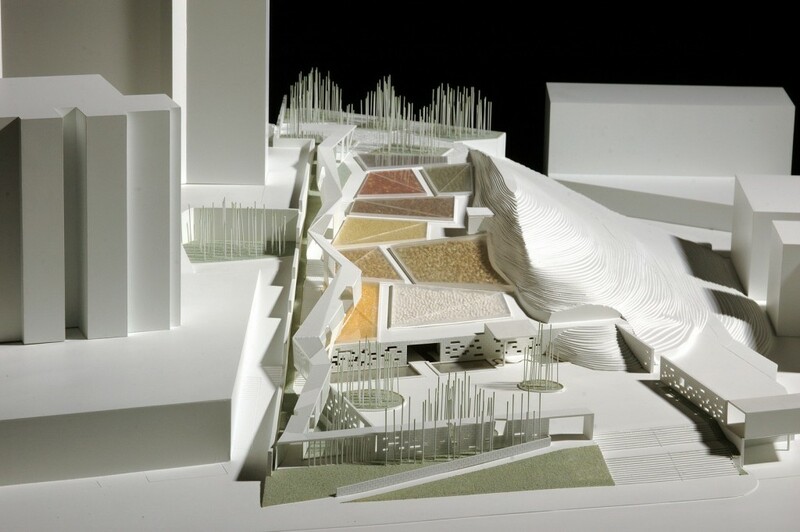 Starting from the northeast corner of the courtyard, an outdoor corridor shaped like a broken line is built along the existing retaining wall, climbing sinuously on the hillsides, leading to the peak, and extending to the new entrance of the park. 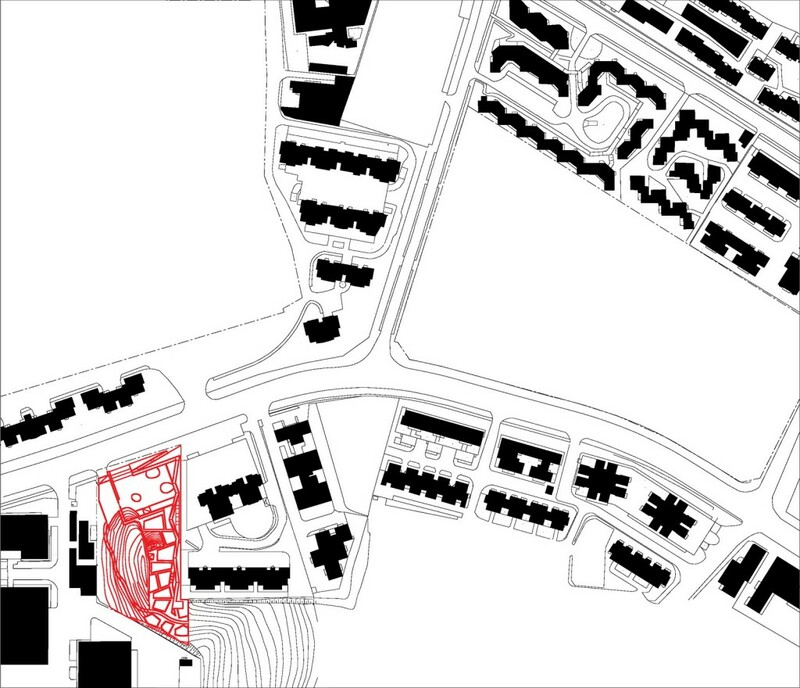 Series of triangular spaces have redefined the east boundary of the park. 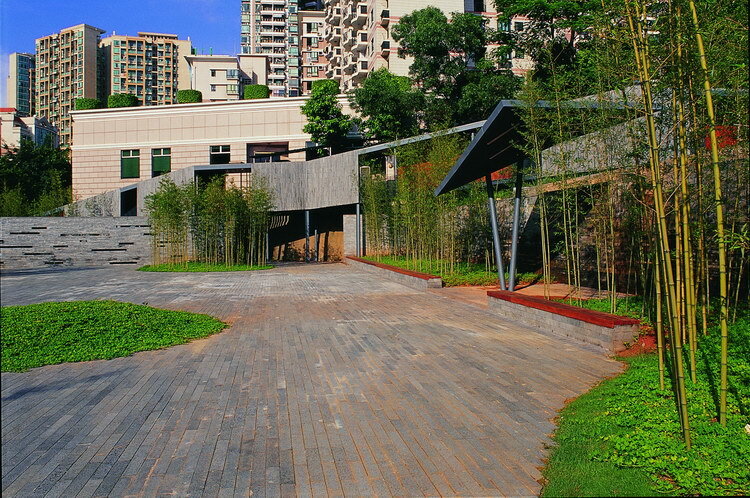 Bamboo, flowers and trees are mixed together to form sceneries reflecting astonishing Chinese paintings. 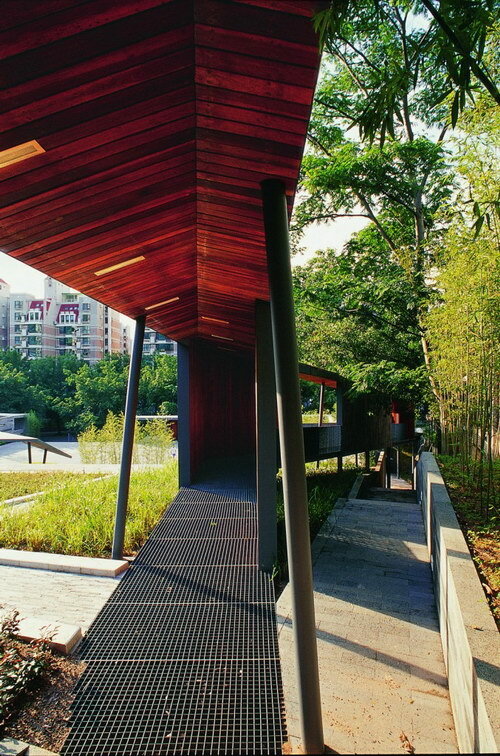 The scenes shift swiftly when walking, which accentuates the essence of the traditional Chinese garden. 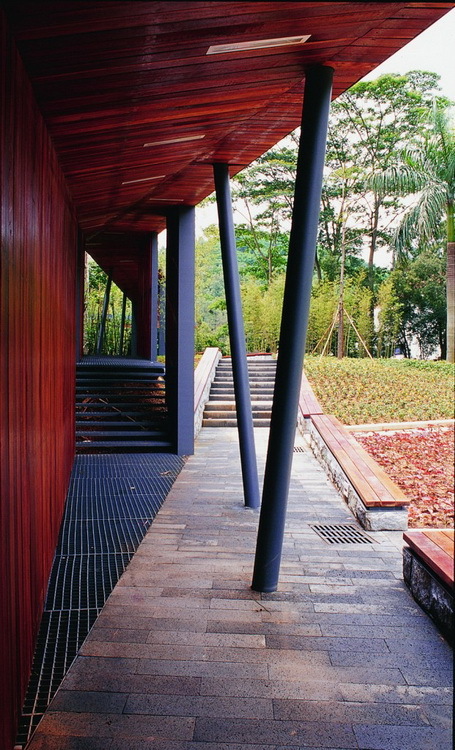 The uplifted corridor cuts the narrow slope into several cultivated terraces with various shapes. 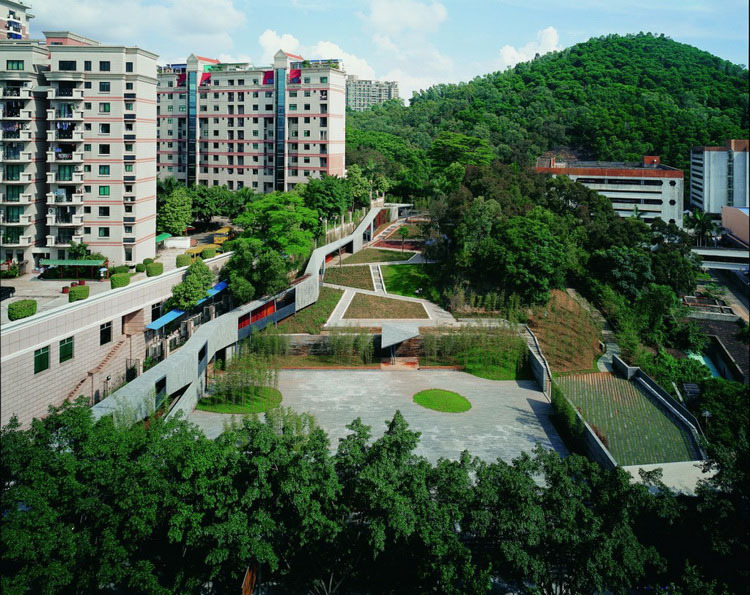 Flowers, grass, and crops planted on the terraces encouraged local residents to come and experience the fun of planting, while the public was led to participate in creating and protecting the community environment. 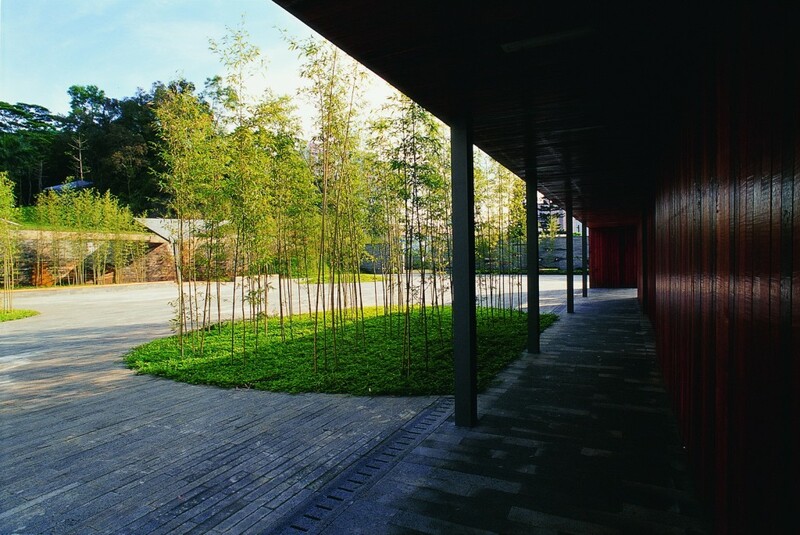 Jumping from the bustle of city life to the rural practice and leisure activities in the bamboo grove, the project’s main concept shows a desire of returning to the countryside and being away from the maddening crowd. 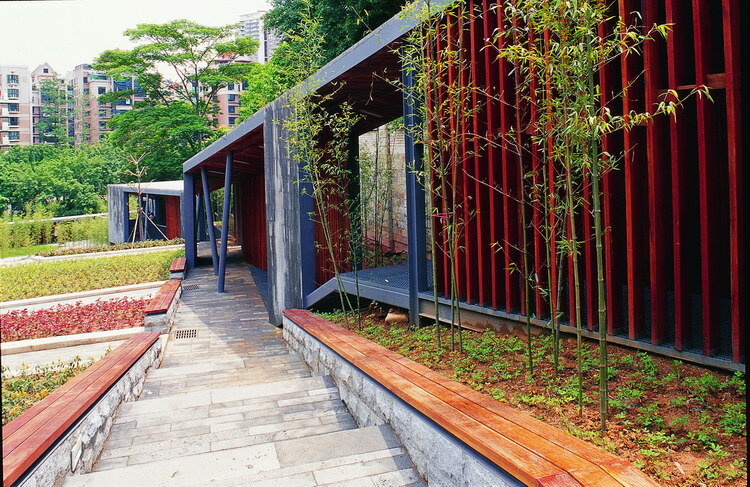 This spiritual return creates a link between nature and the city. 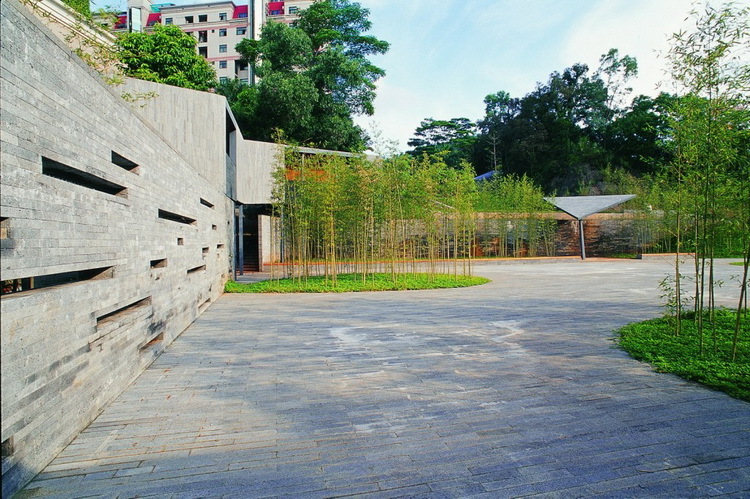 It is a modern Chinese garden that not only brings serenity, but also witnesses and commemorates the original natural environment of the city of Shenzhen.